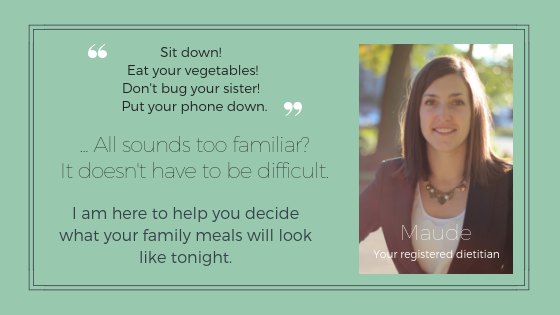 A lot of changes happen in the first years of life, from milk feeding, to introducing solid food, and getting to a balanced diet following the family meal structure. Baby is learning and his/her body is adjusting. 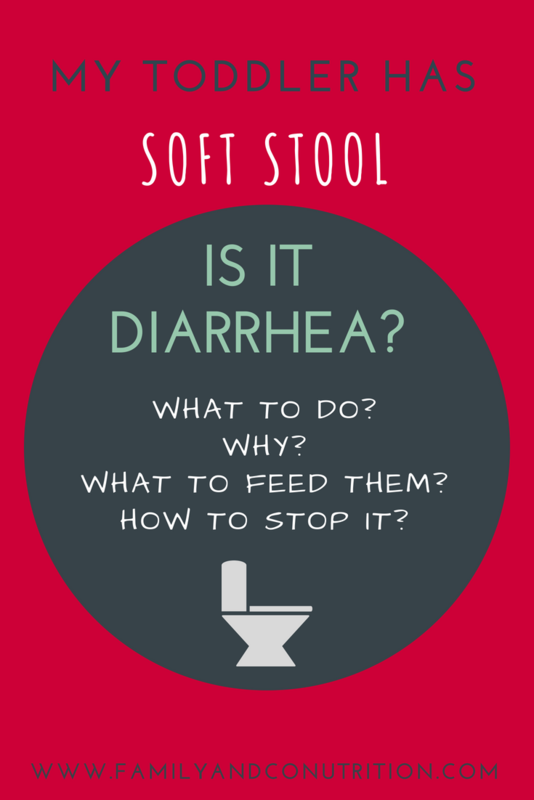 My child has loose stool: is it diarrhea? 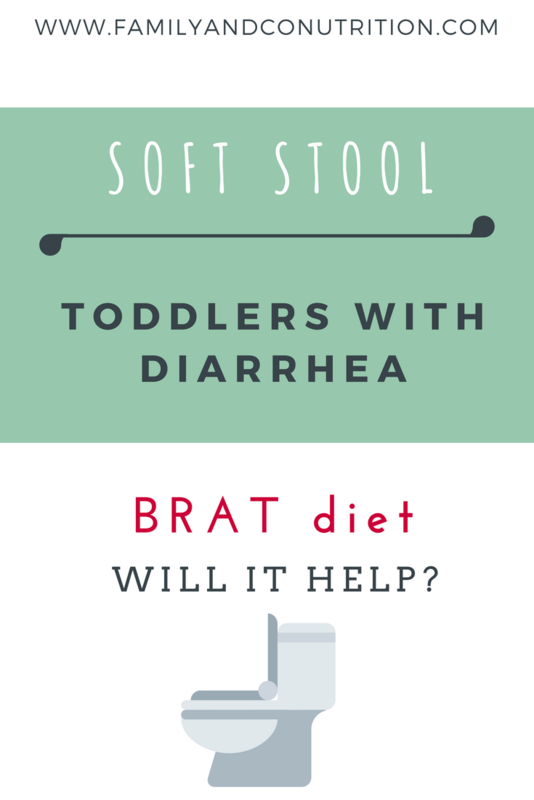 Loose stool, aka diarrhea can be acute or chronic in children of all ages! Acute diarrhea is sometimes referred to as gastroenteritis, with a decrease in the consistency of stools (usually liquid or loose) and an increase in the number of times stools are evacuated (usually more than 3 in 24hr). It can last for about 2 weeks until the stools return to normal. Viruses, such as rotavirus and norovirus are often to blame for gastroenteritis in children. Beside being uncomfortable for the child and a lot of work for the parents, the most serious complication seen with acute diarrhea is dehydration. That is the one thing you want to keep an eye on and prevent. If it becomes really serious, a visit to your family doctor is always a good idea. Chronic diarrhea refers to loose stool for at least 14 days, usually with an increase in the frequency of stool. If you suspect your child (either as infant, toddler, or teenager) as chronic diarrhea, it is suggested to go see your doctor. The cause of the problem needs to be evaluted, so that the right treatment if applied. In the case of chronic diarrhea, we want to ensure that baby is thriving, and eats all the nutrients require for his growth. We also want to improve the quality of life of your the child by identifying and managing the condition leading to diarrhea. Acute and chronic diarrhea both result in your child having loose stool and increase frequency of stool evacuation. Appropriate nutrition and enough fluid is key in both cases. 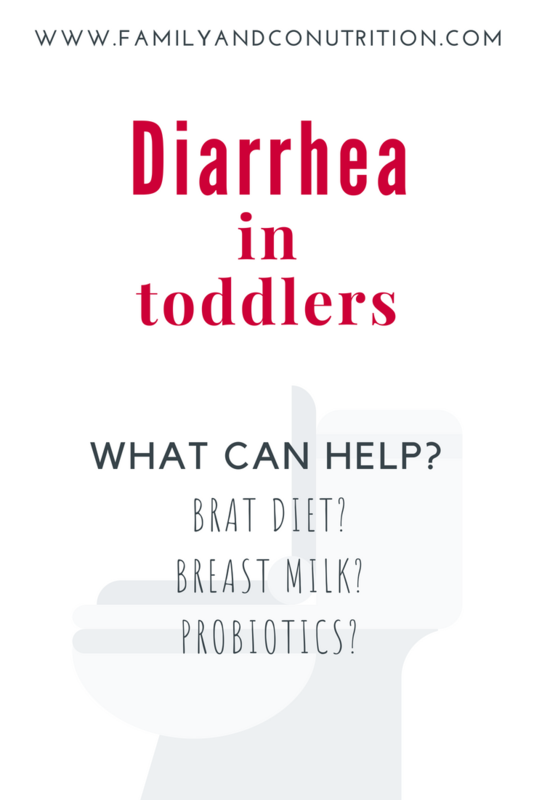 What can cause diarrhea in toddlers? 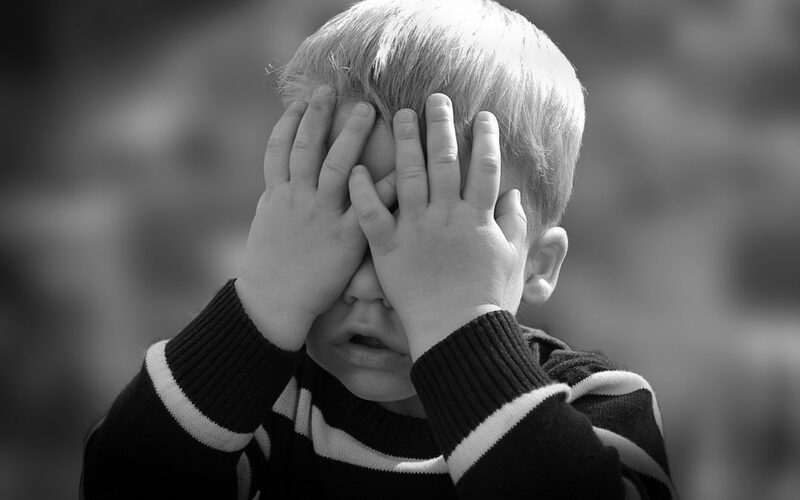 Many things can cause a child to have diarrhea. Your doctor will diagnose the problem and suggest the appropriate treatment. 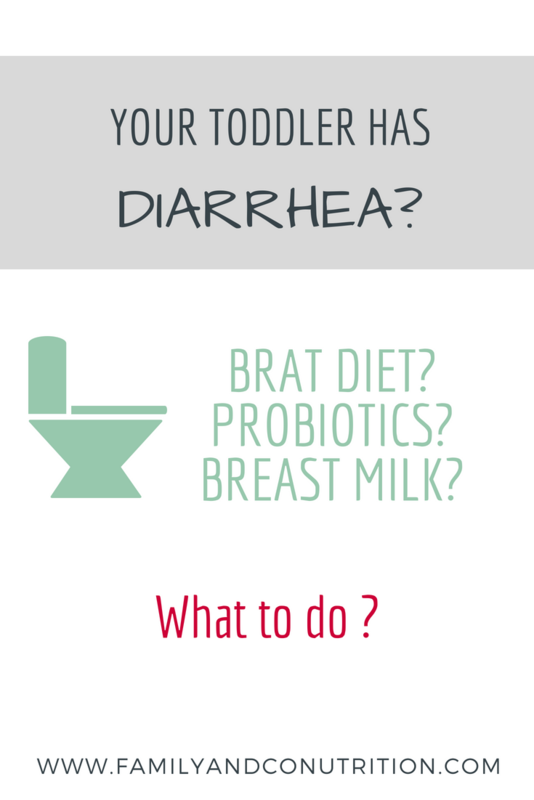 How to stop diarrhea in a toddler? Talk to your doctor before giving any medication to your toddler. 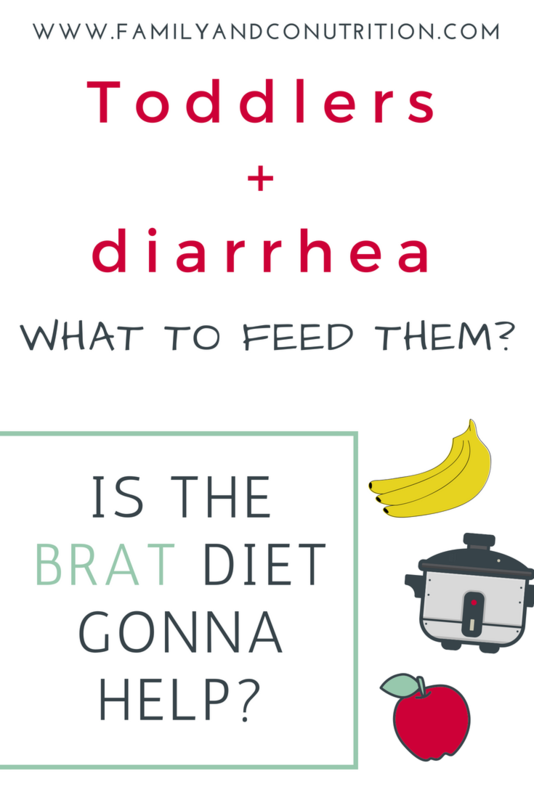 The BRAT diet won’t help your toddler with diarrhea. Instead, offer nutritious meals and a lot of water or milk. If it is not too serious to go see the doctor, here are some strategy to help your little one recover. As soon as you notice your child has diarrhea, encourage fluid consumption and give a rehydration solution. If your child is still breastfed, on-demand breastfeeding should be encourage. There is no need to give juice, special formula, diluted formula. Stick to what your child has been drinking, or offer a rehydration solution you can buy at the drug store. As soon as your child has diarrhea, offer plenty of fluid. 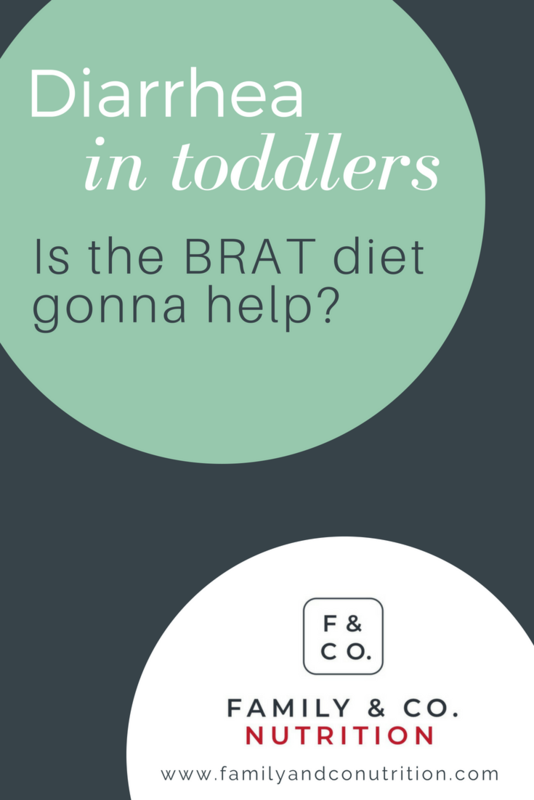 Should I put my toddler who has diarrhea on the BRAT diet? Once popular, the BRAT diet (banana, rice, applesauce and toast) is not recommended due to the low energy density and poor nutritional value. Excluding all food except these 4 lead to minimal intake of fat and proteins, nutrients essential for your child’s recovery. You can offer foods that are well tolerated and that your child likes. 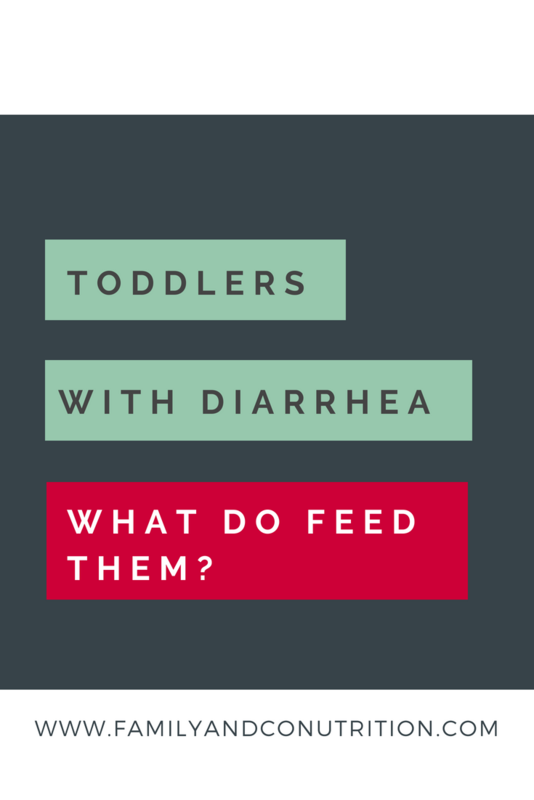 What should I feed my toddler with diarrhea? The boring answer: a balanced and healthy diet. During an episode of diarrhea, you can offer foods that are well tolerated and loved. In prevention of future episodes, the key to avoid diarrhea (and constipation) is to eat enough fibres. Fibres are essential to help stools get formed in the digestive tract. One easy way to do that is to offer the healthy plate. Whole grains products, fruits, veggies are all excellent sources of fibres. And because fibres without fluids is risky, It is suggested that your child drink water as main source of fluid. High amount of juice can lead to diarrhea in children because of the sugar type it contains. There are minimal health benefit in drinking juice, so water (or milk) should be offered instead of juice most of the time. 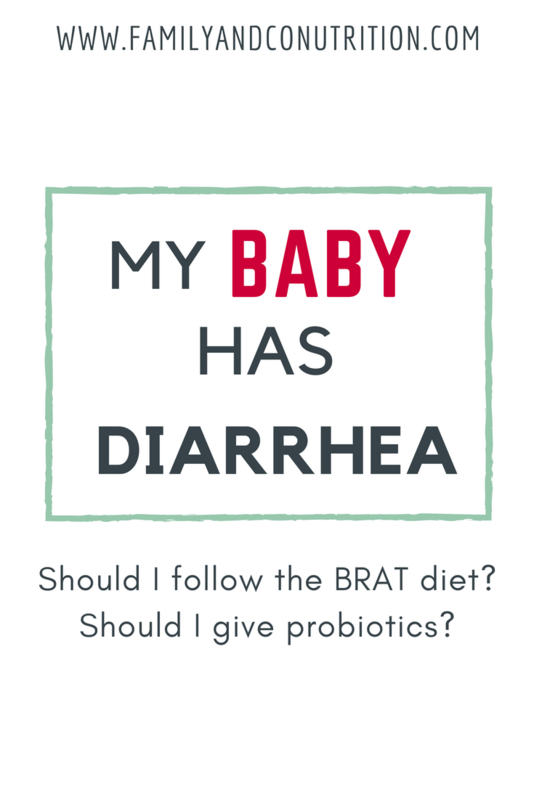 Should I give probiotics to my toddler who has diarrhea? Probiotics are those healthy friendly bacteria that live and grow in our guts. But under this one name of “probiotics”, many many many strains exist. Different health benefits have been attributed to specific strains, and the benefit of one strains can not be generalized to other strains of probiotics. The hypothesis is that when there is gastro-intestinal discomfort, such as diarrhea, it is due to dysbiosis (a microbiome imbalance if you wish) in the gut. Probiotic could modulate the microbiome and help it return to a stable healthy one. The 2 strains that have shown most promising effects on reducing diarrhea in children are Lactobacillus rhamnosus GG (LGG) and Saccharomyces boulardii. On top of that, the strain L. reuteri DSM 17938 has been shown to potentially be helpful at reducing the incidence of diarrhea in children who go to daycare. If you wish to give probiotics to your child, check with your pharmacist. All this is promising and might be of value for some children, but little is still know about probiotics and a lot of research is underway at the moment. All probiotics are not created equal! Pick the right one to help diarrhea in toddlers. 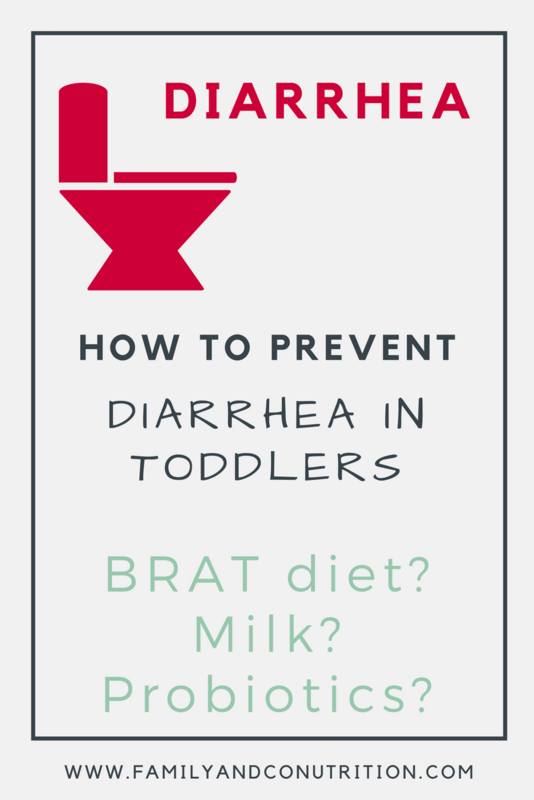 How to prevent my toddler from getting diarrhea? Children are particularly vulnerable to food poisoning (just like pregnant women) because their immune system is not quite fully ready to defend them from pathogens. As most diarrhea episodes are causes by viruses, it is important to adopt appropriate food handling habits. It includes all steps from buying, storing, cooking, handling raw and cooked food, and cleaning. Adopting good hygiene habits will reduce the risks of food poisoning. The Government of Canada has a great resource on food safety for children. Preventing food poisoning by adopting top notch handling habits is a way to prevent diarrhea in children. Is it possible that my toddler has simply “soft stool” without problem? As with anything, you are the expert of what is “normal” for your child. As s/he always had that type of soft stool or is this new? 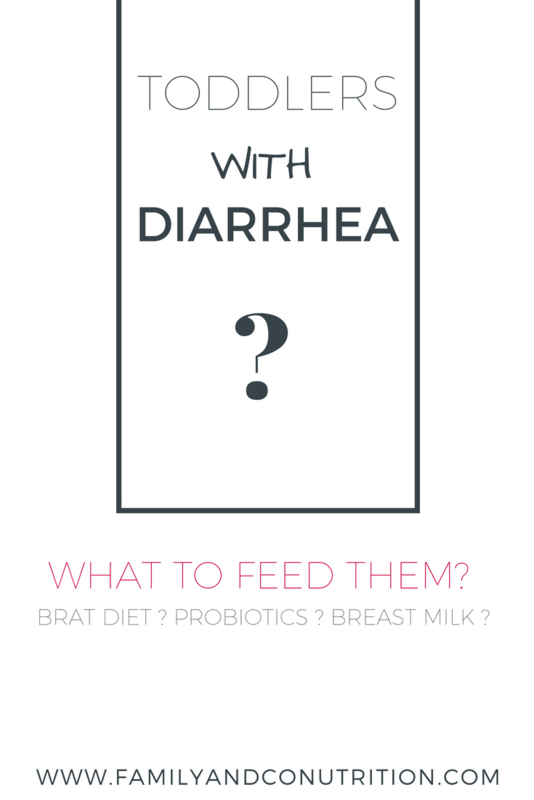 Is the diarrhea following something your kid has eaten? Are all the members of your family having diarrhea, or is it just your child? The Bristol stool chart might be helpful in identifying if your child has abnormal stool and report it to your health care practitioner. It is also possible that if your child is still young and adapting to the change in the diet from exclusively milk feeding to a variety of solids food. Children gastro intestinal tracts will mature and find their “normal”. If you are concern or feel something is off, talk to your doctor. You know better than anyone your child! If you are concerned about your child’s stools, visit your doctor to make sure all is normal. Lewis SJ, Heaton KW. Stool form scale as a useful guide to intestinal transit time. Scand J Gastroenterol. 1997;32(9):920–4. Carson RA, Mudd SS, Madati PJ. Clinical Practice Guideline for the Treatment of Pediatric Acute Gastroenteritis in the Outpatient Setting. J Pediatr Heal Care; 2016;30(6):610–6. Dupont HL. Persistent diarrhea a clinical review. JAMA 2016;315(24):2712–23. Szajewska H, Canani RB, Guarino A, Hojsak I, Indrio F, Kolacek S, et al. Probiotics for the prevention of antibiotic-associated diarrhea in children. J Pediatr Gastroenterol Nutr. 2016;62(3):495–506. Siniewicz-Luzeńczyk K, Bik-Gawin A, Zeman K, Bąk-Romaniszyn L. Small intestinal bacterial overgrowth syndrome in children. Gastroenterol Rev. 2015;1(1):28–32. Szajewska H, Kołodziej M. Systematic review with meta-analysis: Lactobacillus rhamnosus GG in the prevention of antibiotic-associated diarrhoea in children and adults. Aliment Pharmacol Ther. 2015;42(10):1149–57. Urbańska M, Szajewska H. The efficacy of Lactobacillus reuteri DSM 17938 in infants and children: a review of the current evidence. Eur J Pediatr. 2014;173(10):1327–37. Guarino A, Ashkenazi S, Gendrel D, Lo Vecchio A, Shamir R, Szajewska H. European society for pediatric gastroenterology, hepatology, and nutrition/european society for pediatric infectious diseases evidence-based guidelines for the management of acute gastroenteritis in children in Europe: Update 2014. J Pediatr Gastroenterol Nutr. 2014;59(1):132–52. Koletzko S, Niggemann B, Arato A, Dias JA, Heuschkel R, Husby S, et al. Diagnostic approach and management of cow’s-milk protein allergy in infants and children: Espghan gi committee practical guidelines. J Pediatr Gastroenterol Nutr. 2012;55(2):221–9. Guarino A, Lo Vecchio A, Berni Canani R. Chronic diarrhoea in children. Best Pract Res Clin Gastroenterol. 2012;26(5):649–61.